So – you’ve sold your home. You found and closed on a great new home. You thought buying and selling a home was stressful? Let’s talk about moving into your new home now! Yeah, planning a move, then moving, is stressful. 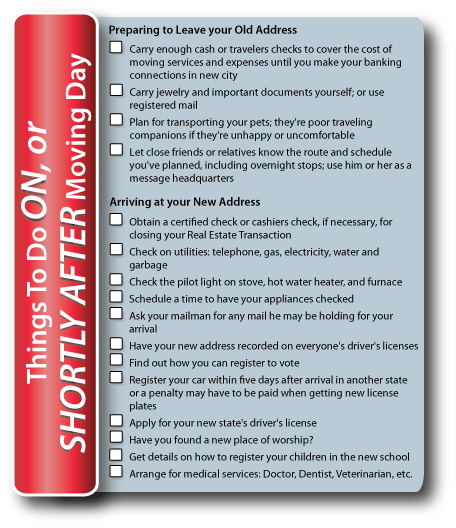 But if you use this checklist, you’ll find that your upcoming move will go more smoothly, with fewer headaches and fewer forgotten items. 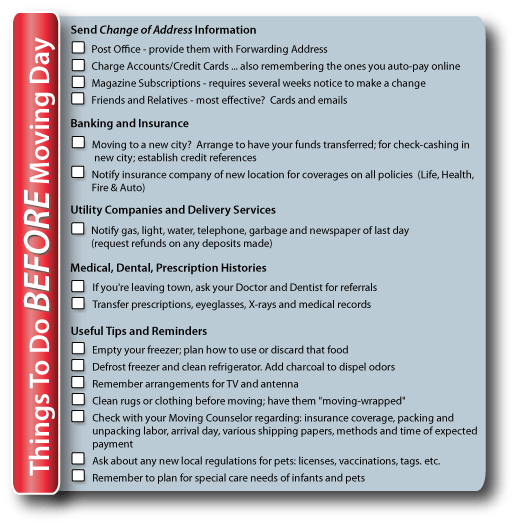 Let’s get started planning your move! Ask about any new local regulations for pets: licenses, vaccinations, tags. etc. Have you found a new place of worship?